With each passing hour, it seems to be more and more likely that the Philadelphia 76ers will part ways with Jahlil Okafor before the February 23rd trade deadline. 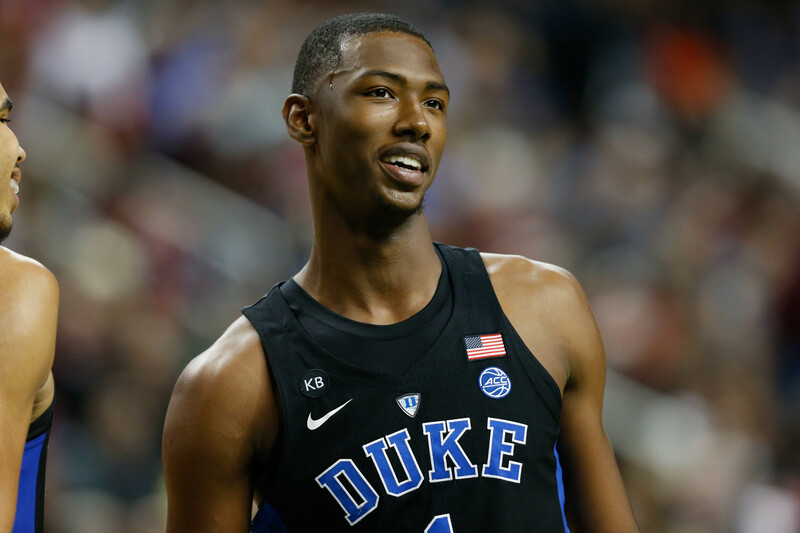 The latest reports link Okafor with the New Orleans Pelicans, but what about the rumor involving the Chicago Bulls? Sam Amick of USA Today broke the news on Twitter this afternoon. The Pelicans and Sixers were discussing a deal. It looked like it might be too late for the Bulls to make a move, but talks eventually cooled over the asking terms from Philadelphia. It sounds like they were pushing for a first-round pick in the upcoming draft. Wouldn’t that be nice? Still, it seems like things are at least in the ballpark for the two teams and Chicago is probably on the outside looking in. Before we sell the Bulls chances at grabbing Okafor, it might be worth taking a look at some trade options that Chicago could offer in exchange for the soon-to-be-moved big man. He’s intriguing as an offensive weapon, decent fundamentals. 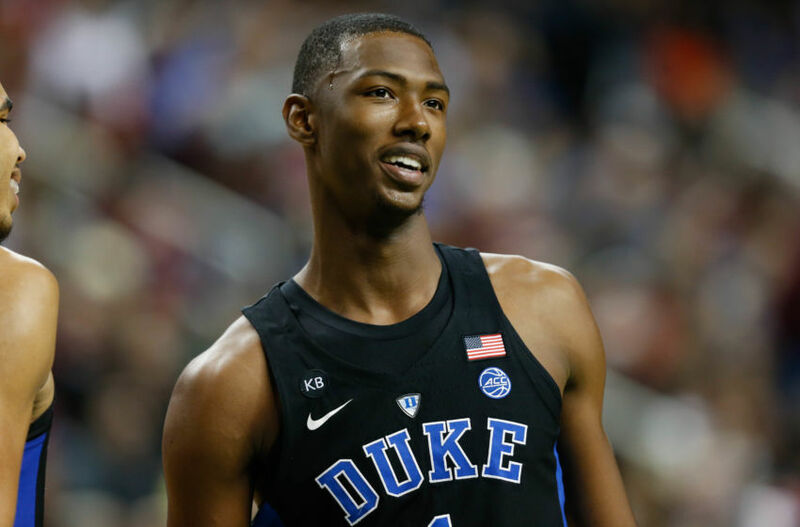 However, a lot of people are low on him because of his off-court issues, throwback style of basketball, and general limitations on the defensive end of the floor. It’s impossible to write off a second-year player who has clearly clashed with the organization he finds himself a part of – an organization that won’t have its hand forced to play him because they have so many other options. Let’s start with a great deal for the Bulls. It probably isn’t anywhere near what the Sixers want, but that’s okay. These are just options, and none of them probably happen. Philadelphia has a Jahlil Okafor problem. He did very dumb things in Boston as a rookie, you’ll have that with young men from time to time. He’s also found himself at the bottom of the pecking order behind Joel Embiid and Nerlens Noel. Since December 30th, Okafor has 11 DNPs and one game not with the team. The Sixers clearly know that the team is now to trade Jahlil, playing him in four of the last five. Prior to that stretch, they had only played him in four games over the course of a full month. 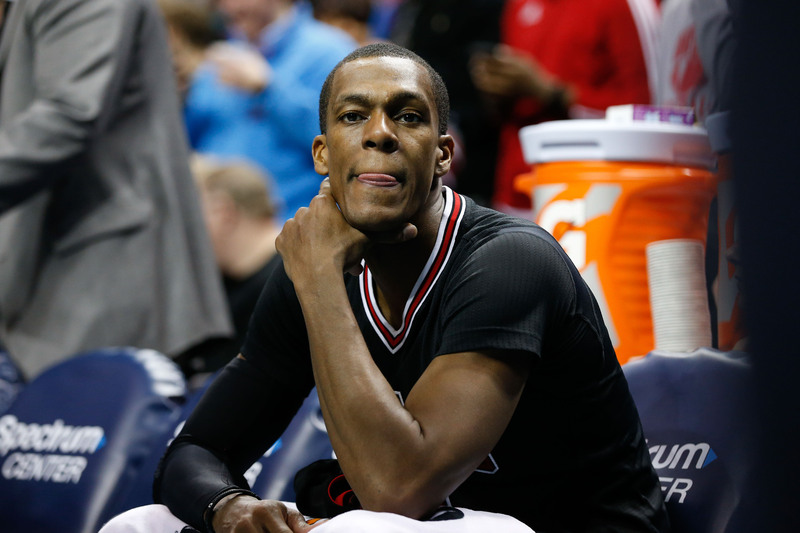 For Chicago, Rajon Rondo is the odd man out. He isn’t buried by the depth chart, but rather by the two stars of the team – Jimmy Butler and Dwyane Wade. 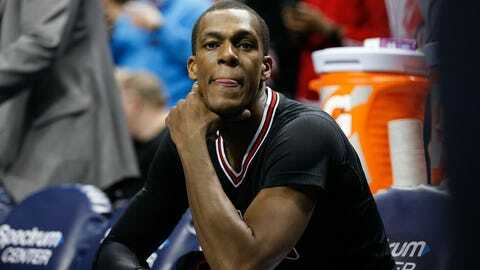 After some very public shade throwing, it’s become even more unrealistic that Rondo sees out the year with the Bulls. Okafor has plenty of flaws and lots of room for growth. As a center, he raises a lot of questions for the Bulls, but trading him for Rondo would eliminate one major question surrounding the team. There isn’t much of a sales pitch on either side. Chicago could use any young, promising players they can get their hands on, but don’t have a need at center. The 76ers don’t need Okafor and could use a gifted passer with championship experience to help groom the prodigious passing of Ben Simmons, but wouldn’t want to be on the hook for the guaranteed money owed to Rondo next year. The only way this deal ever comes close to reality, the Bulls have to bite the bullet and toss in picks. I wouldn’t put it past them, but it can’t be considered a good idea to part with upcoming first-round picks in exchange for a player who doesn’t look like much more than worse version of Lopez. It was hinted at on the previous slide, but both teams are deep at center. 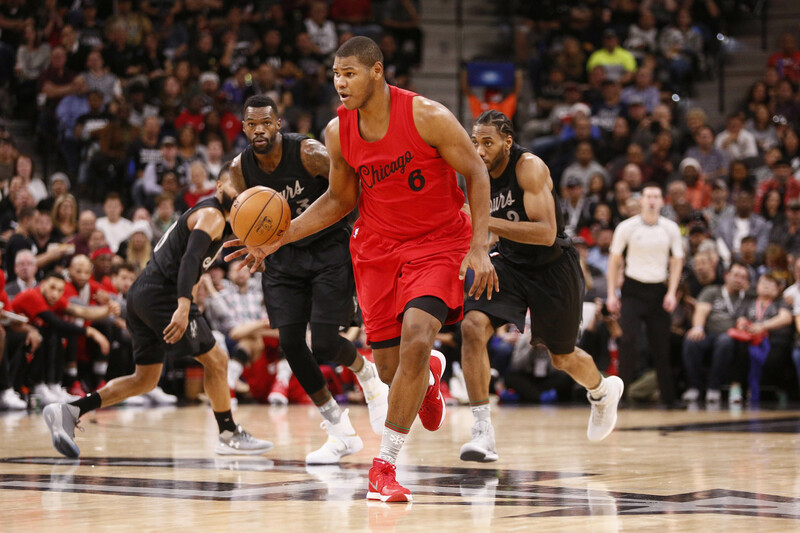 Chicago currently has both Lopez and Felicio at center. They also play Taj Gibson at center from time to time, for now. Gibson is one of the most likely pieces to be traded by the deadline, among everyone on this roster. But back to the two centers. The Bulls don’t need a third. 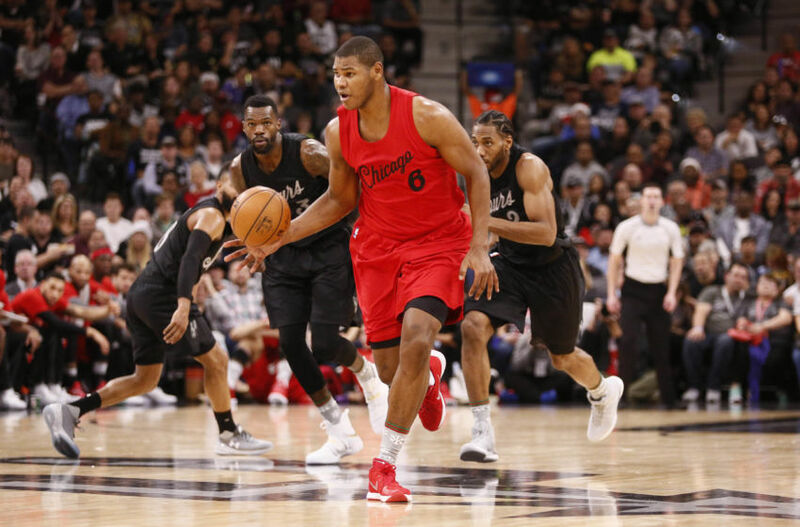 If they did acquire Okafor, the assumption should be that they either plan to trade Lopez or allow Felicio to leave in restricted free agency this summer. Or, they trade some combination of those players to acquire the Sixers big man. Felicio is listed as a center, and that’s accurate. He’s a strong, athletic, hard-working, rim-running, screen-setting, oop-slamming, defensively competent center. He really should be a priority for Chicago to keep this summer. Philadelphia has a similar issue. There isn’t a need to add yet another center. Unless they plan to trade Nerlens Noel in addition to Okafor. That’s a very real possibility, though I’d bet all my money that they don’t do it before this season is over. Injuries can’t be predicted, but hedging against another issue with Embiid is only smart. A trade that works for Philly is Okafor for Felicio and Nikola Mirotic. They get Mirotic as a rental to make a decision on him heading into his summer of restricted free agency, and they get the same for Felicio. It’s not much of a deal, but the Sixers are also asking for, and getting, better offers than they should for Okafor. There just isn’t a strong trade between like-positioned players here and this is the strongest argument of all against an Okafor to the Bulls trade. This is a completely hilarious trade that stands as proof that general managers are both smarter and more boring than most of us wish they were. 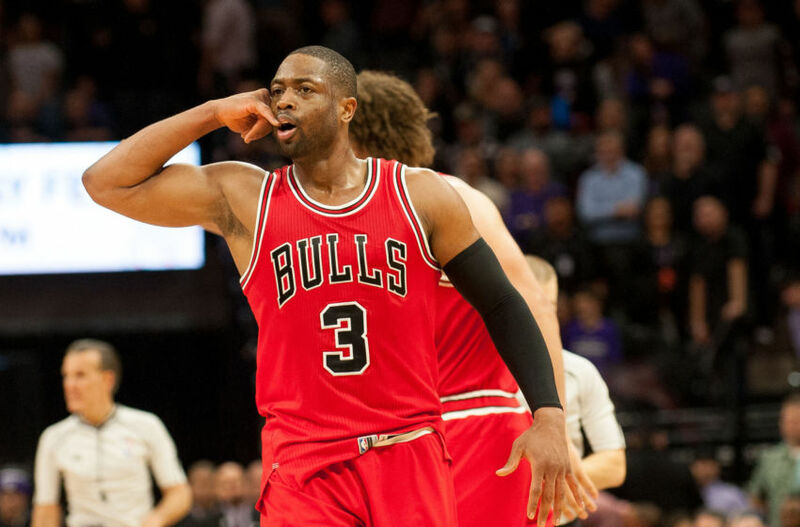 Wade’s contract is really tough to swallow for a lot of Bulls fans, myself included. 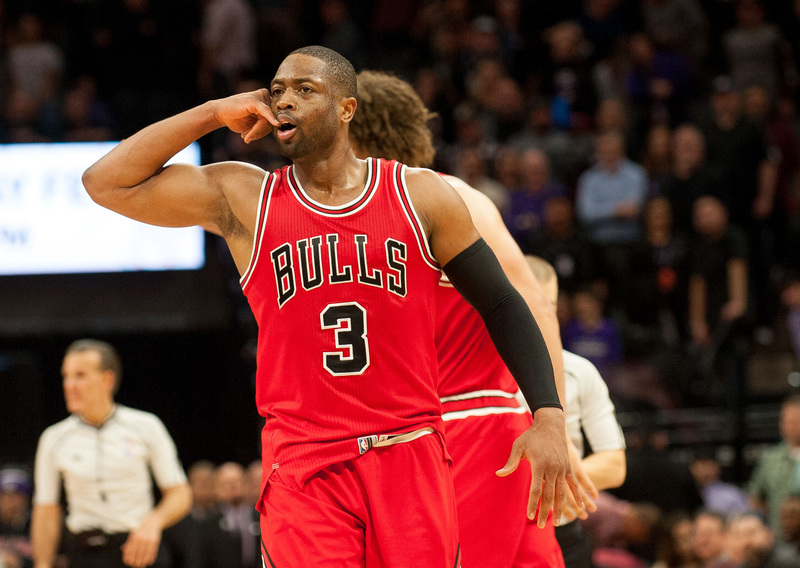 There’s a way to send Wade to the Sixers and it isn’t complicated or difficult to achieve. Trade Wade for Okafor and Sergio Rodriguez. Chicago has proven that they love collecting point guards for some unknown reason. Rodriguez could be yet another guy that Fred Hoiberg could randomly bench for a week and then run back as starter whenever he’s feely cranky at Michael Carter-Williams or Jerian Grant. It’s a crazy trade, but don’t lose focus. The Sixers are a very high-upside squad. They’re among the most exciting and youngest teams in the league. They have no established, respected, big name veteran. Wade could be that guy. If you’ve got Embiid, Simmons, Saric, Luwawu-Cabarrot, Noel and Wade, they suddenly look attractive to more free agents. The 76ers have been player really good basketball recently, with a tough defensive unit. Add the scoring ability of Wade and things get better. According to ESPN’s Trade Machine, the trade would add six wins to the Sixers. They have to start winning eventually and they aren’t going to get low enough to be seeded among the top three spots in the lottery, might as well start now. Among Bulls Twitter and the basketball blogger realms, there isn’t any real excitement or interest in adding Okafor. Like it was mentioned earlier, Okafor has a huge amount of untapped potential, but isn’t better than Chicago’s incumbent, Lopez. He’s also not more attractive than Felicio in literally any measure of basketball players aside from his offensive contributions. Felicio does a better job in every other area of the game based on what limited information we have available to evaluate both players. This is yet another reason why the trade probably doesn’t happen. Not only does another center not fit with the plan for the Bulls, there just aren’t enough pieces for both sides. Well, that’s not completely true. Chicago might want Okafor and another player like Nik Stauskas, but Philly is asking for too much. Not just of the Bulls, but of the entire league. The rumored deals with New Orleans seem to center around both players and picks. The picks being talked about are first-round picks. The Sixers seem bent on getting more picks for the 2017 draft, looking for that last foundational piece – a generational guard. Chicago is doing too well for their first-round pick to be worth anything. Gar Forman has also traded away a handful of upcoming picks and botched the last several seasons worth of picks. In short, the Bulls can’t afford to give away even a middling first-round pick. They desperately need to hit on some draft picks because they’ve messed everything up by signing both Rondo and Wade, opting to battle for a playoff spot that means nothing to the fans or the future success of the franchise. If Chicago did cough up their 2017 first-round pick and the top 10-protected Sacramento Kings pick, plus another future pick, Forman will have dealt away all of the team’s picks and returned nothing for an unproven player that could end up being nothing more than the infamous backup center who pushed Felicio out of town. The trade just doesn’t look good for either side and it isn’t a win-win. If these two teams improbably executing a deal, someone is going to be a big loser. Let’s hope it isn’t the Bulls.